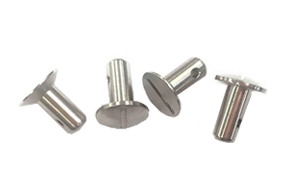 Skybolt® is one of the world’s largest producers of Stainless and Skytanium® Panel Fasteners, Quick Release Fasteners, and Captive Fasteners. Our patented designs span every imaginable application from general aviation to major aerospace applications, defense, industrial and marine applications. Diamondhead® CLoc® Rc 27 stainless fasteners meet NASM5591 Chart II ratings for steel - independantly tested. Skybolt's goal is to become the world's highest rated Contract Manufacturer of Panel Fasteners. We innovate. We engineer. We deliver. 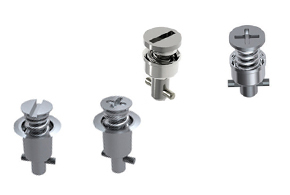 Skybolt manufactures three variants of common ¼-Turn Panel Fasteners patterned after Camloc®, Dzus®, and Airloc® designs. 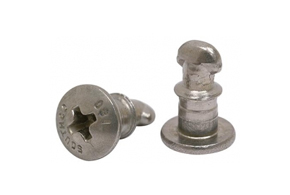 The term “Dzus” has become generic for Panel Fasteners, however, the most utilized design is the “Camloc” style fastener. 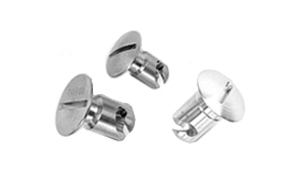 Airloc® fasteners are common on Beech aircraft. Our production is primarily focused in 300 Stainless and Skytanium® materials. Most Skybolt® Skyloc® ¼-Turn Fasteners have design strength ratings that meet or exceed NASM5591 Chart II values for steel. This prevents having to use A286 or 400 Series Stainless that has undesirable corrosion properties. Skytanium® affords us up to 50% weight savings at the steel strength values. You will find Skybolt CLoc® Skytanium® fasteners from Airbus to NASCAR and beyond – a functional fastener with incredible weight advantages. If you are new to panel fasteners, depending on your application, use the following chart to help guide you to the quickest solution. If you cannot find exactly what you had in mind, Skybolt® stands ready to take your idea or project through the design stage; all the way to production; typically in 30 days; depending on supporting components. We spend about half our time on specific design projects and half our time improving our production standards to keep all Skybolt® ¼-Turn Fasteners one, two, three or more generations ahead of any competitor.